Ships today if you order in the next 11 hours 28 minutes. Staying on top of the health of your joints is an important step in achieving optimal health. As we age, our joints tend to weaken, and give our bodies what they need to keep us strong is becomes even more important. 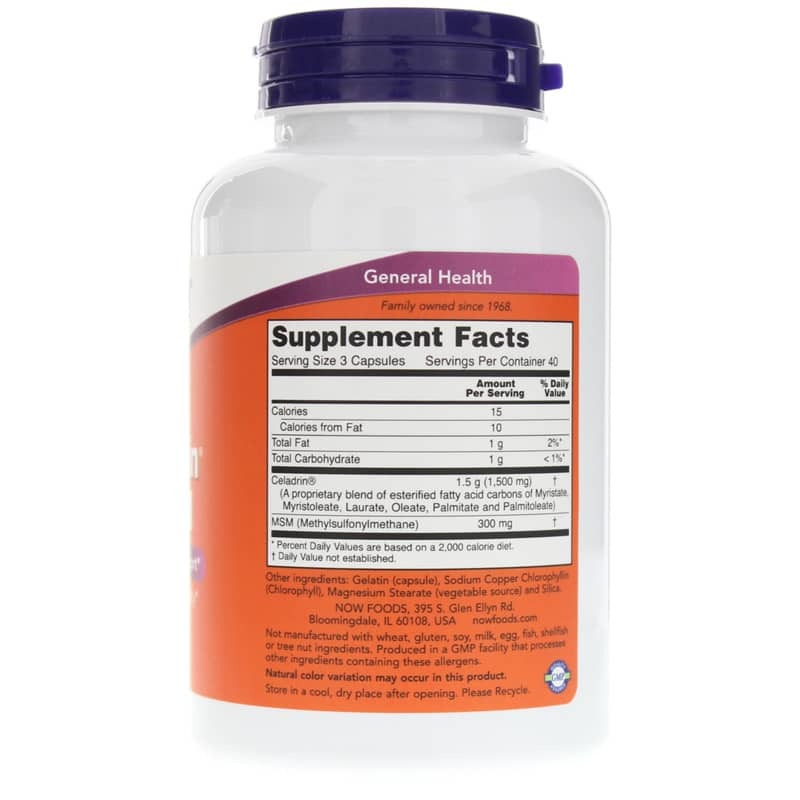 NOW Foods delivers a supplement ideal for peak joint health. 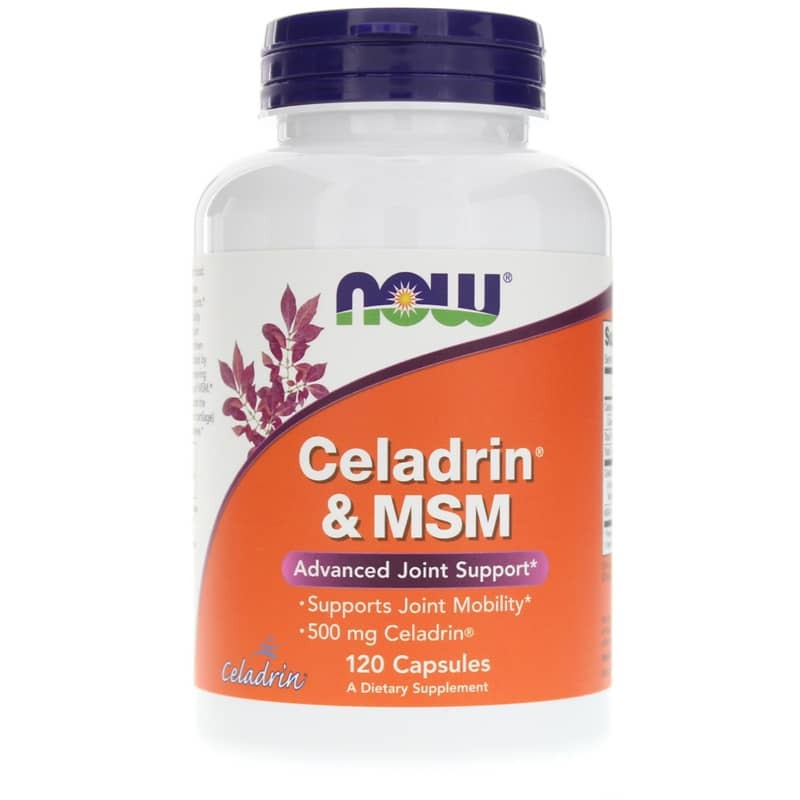 Celadrin & MSM is a naturally derived supplement that combines two compounds to give your body what it needs to keep your joints happy and healthy. 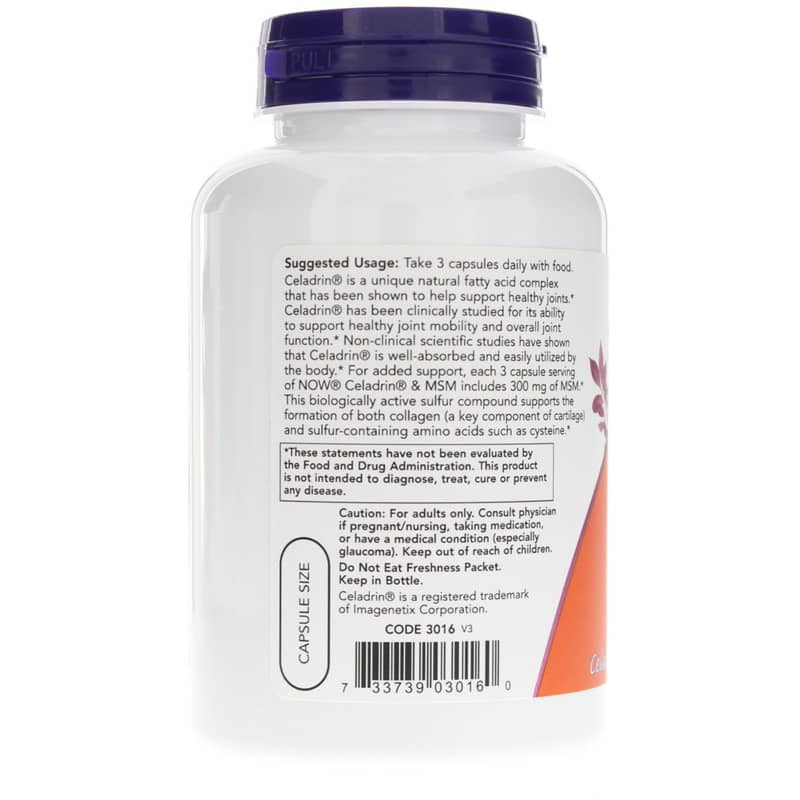 It's easily absorbed by your body without any unpleasant side effects. It contains none of the most common food allergens, including milk, soy, egg, sugar, wheat, yeast, gluten, and corn. Give your joints the nutrients they need to stay strong and healthy. Choose Celadrin & MSM from NOW Foods today for a reliable pathway to optimal overall health and wellness.